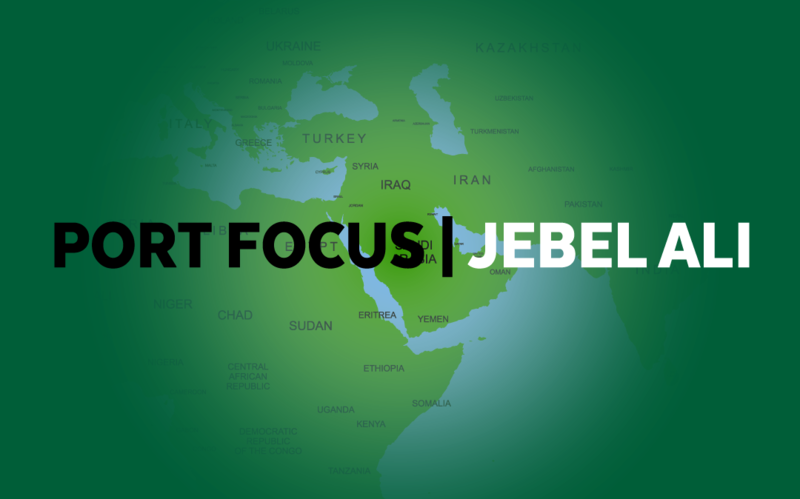 According to the Load Star in their Port Productivity focus 2014, Jebel Ali Port was the 3rd most productive port in the world and the highest ranking Port in Europe, Middle East and Africa. Yet the port operator DP World has no intention of slowing down on their flagship facility. The completion of the second phase of terminal 3 will see Jebel Ali Port capacity increase by 2 million TEU by the end of the second quarter. Below is an infographic summing up some impressive feats that Jebel Ali Port has accomplished. why not take a look at our article Exporting to UAE? In the last 30 years, U.A.E’s economy has grown at a fast rate, managing to transform itself into a strategic hub for trade across the world. To help take advantage of this opportunity, here are ten key reasons for you to consider doing business with U.A.E. 1. U.A.E is part the GCC (Gulf Cooperation Council) which has a cooperation Agreement with the E.U since 1988, and is now the EU’s 5th largest exporter market. 2. Within ten years, trade between E.U and U.A.E has doubled. 3. As of 2014, goods and services worth over €58 billion were exchanged between the U.A.E and E.U. 4.The U.A.E is an extremely diverse economy that is continuing to develop. 5. The U.A.E has over 13 million visitors a year, 1 million of those are from the UK. 6. Dubai has been acknowledged as the gateway to the Middle East with market access to over 2 billion people making U.A.E a great entry route to other Gulf markets. 7. English is widely spoken in the U.A.E with approximately 120,000 UK residents living there. The UK also had a huge presence over the last 100 years across the majority of the middle east. 8. The UK government is also committed to doubling the value of trade between the UK, and U.A.E to £25 billion a year by 2020. 9. Goods that are imported into a U.A.E free zone, customs duties are not payable. 10. The government has an extremely positive outlook for the next few years, focusing on diversification and continuing to take advantage of emerging markets. 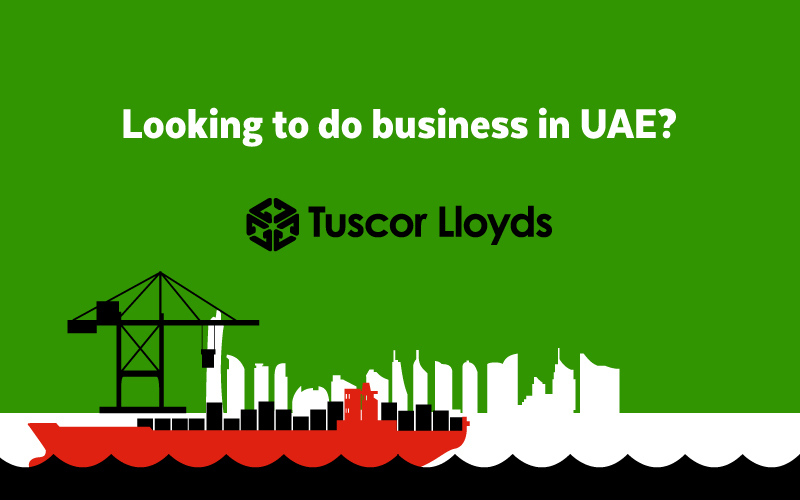 For more information on exporting import to and from UAE or to get a quote for shipment of your goods please contact Tuscor Lloyds: +44 (0) 161 868 6000 /shipping@tuscorlloyds.com – our professional staff can help you with every aspect of shipping to and from U.A.E. 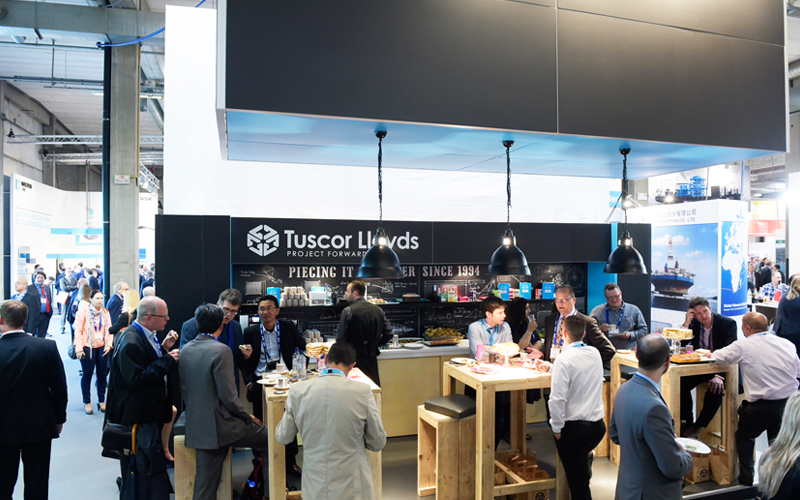 After returning back from another fantastic Break Bulk Exhibition in Antwerp, the Tuscor Lloyds team have compiled a list of the key do’s and don’ts whilst visiting the Expo. There is little more satisfaction than seeing months of work being made a reality in front of you. Contractors piece together enormous structures as if they were playing with Lego. If you are able to travel to the expo before opening to view your company stand being built, it is a fascinating experience. When you enter a pub with a beer encyclopaedia for you to ponder, you know you’re going to have a good night. With a selection of 300 different Belgian beers, Bier Central is the place to soak up some Belgian culture after a long day running last minute errands before the expo opens its doors. As the saying goes when in Rome do as the Romans do. When in Belgium if you go away without trying Mussels, Frites, Beer, Chocolate or Waffles you have only yourself to blame! This year at the expo Tuscor Lloyds decided to host an afternoon tea party to celebrate our British heritage, and allow our friends, colleagues and partners in the industry to taste some traditional English culture. The event was a great success with everyone stopping by to take a break and pick up their Tuscor Lloyds goody bags. The tram to and from the exhibition is notoriously busy but what isn’t as reported is how easy it can be to miss your stop. Or like the Tuscor Lloyds team take the completely wrong line. Cue surfacing in a random location and drowning some data to find our way back to the accommodation. After a hard day manning the stand, what better way to unwind than a fantastic post show event? This year Tuscor Lloyds joined Splitehoff for their Roast Chicken party. It was a brilliant night full of ravenous exhibitors and attendees looking for the chance to sample some of Jurgen the Chicken Boys finest produce. In the heart of the city, the crowds gather and when the buildings light up the shadows cast really make this location something special and a great final stop for your Antwerp tour. Missed the projects team in Antwerp? Take a look at some pictures from the event on our facebook page. 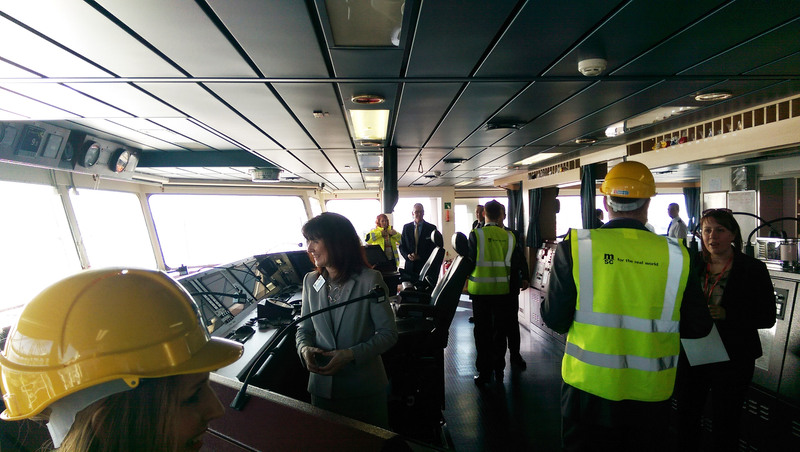 Recently our team were lucky enough to step on board the MSC Oscar in Felixstowe. Although shorter in length than CSCL Globe the capacity of MSC Oscar at 19,224 TEU sees it take the crown for the World’s largest container ship. As 95% of the world’s cargo now moves by ship and 20 million containers are said to be in use at any one time, the question is how did it all begin? Many look to ‘Ideal X’ as it was named in 1956, a modified World War 2 T2 tanker converted by American Malcom McLean, to transport 58 units of trailer trucks detached from their running equipment. 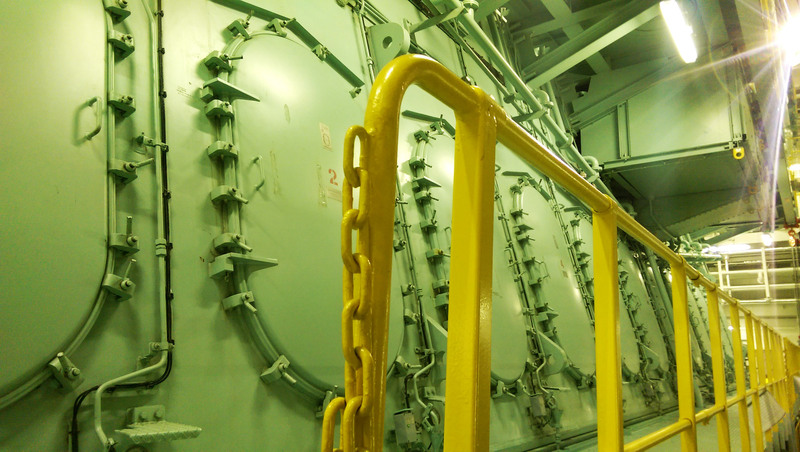 McLean’s use of a raised spar deck with longitudinal slots initiated the first generation of container ships. These ships sailed at around 18 to 20 knots, carrying containers on converted decks and holding cranes on board as the ports infrastructure failed to support the sudden developments. Skip forward to the 1970s where specialised construction of fully cellular containerships began, sailing speeds increased, labour needs and costs of handling dramatically reduced. 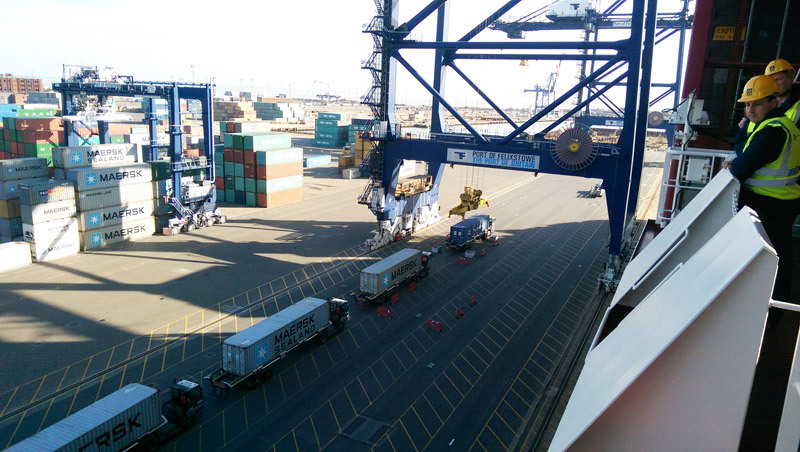 As ports began building designated container terminals the benefits of this shipping system really became clear. In the 1980s ships got bigger. As economies of scale increased pressure on larger ships with larger capacity lowered the costs per TEU. The size limit of the Panama Canal at approx. 4,000 TEUs became known as the Panamax Standard and for over a decade ship building remained within these design limitations. The 32.2m width limit of the canal was finally exceeded in 1988 by the APL C10 containership class proving the catalyst for new panamax builds with capacities reaching 8,000 TEU and with the expansion of the canal reopening in 2015, they are only set to increase. In 2006 a new, exciting generation was born from Maersk shipping line, with the introduction of Emma Maersk, (E Class) boasting a capacity range of 11,000 to 14,500 TEUs. On arrival in Felixstowe crowds greeted the vessel, as the media painted a picture of the UK’s entire Christmas delivery on board. The relentless push for size has been driven by the chase for profit and efficiency, the crux of all supply chain quandaries and the buzz word in modern business practice. 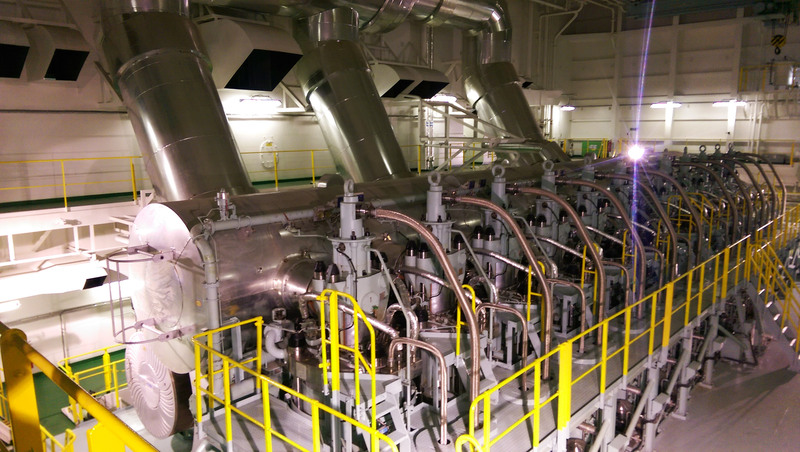 The triple E class vessels handling up to a staggering 18,000 TEU were named for economy of scale, energy efficiency and environmentally improved. 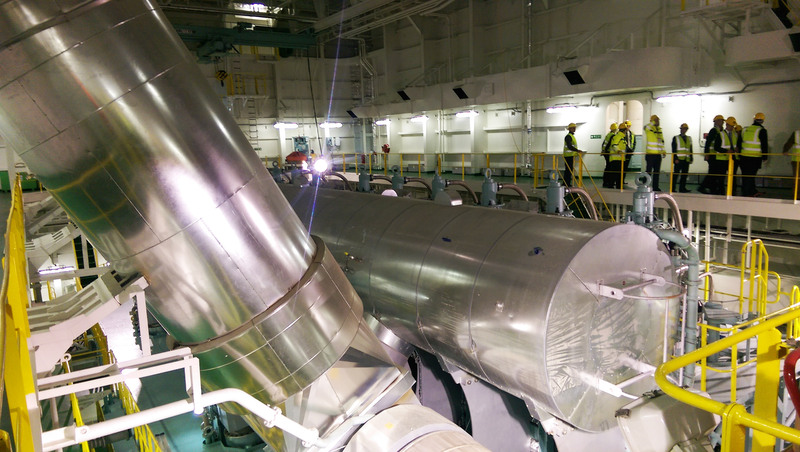 Design is optimised for lower speeds, CO2 emissions have been reduced by approximately 50% per container and the container capacity increased without consuming more engine power. Maersk announced 10 of these ships were ordered for $1.9bn, and in 2011 10 more were added; a sign there is no intention of slowing down. 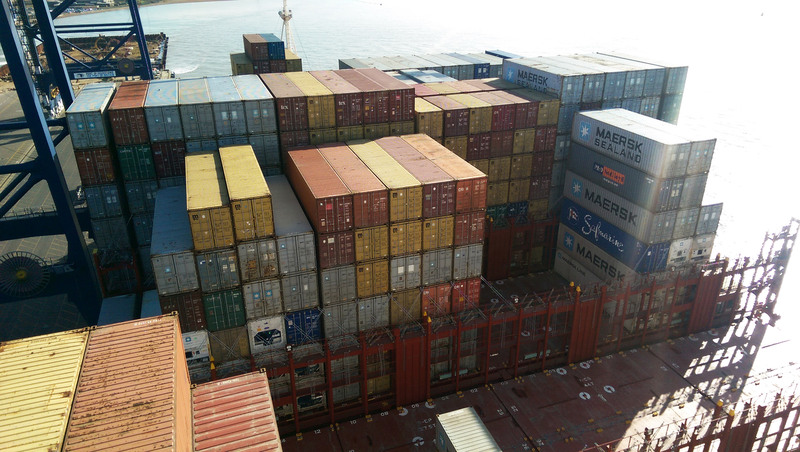 With records broken every year it seems only a matter of time before we see 20,000 TEU ships. 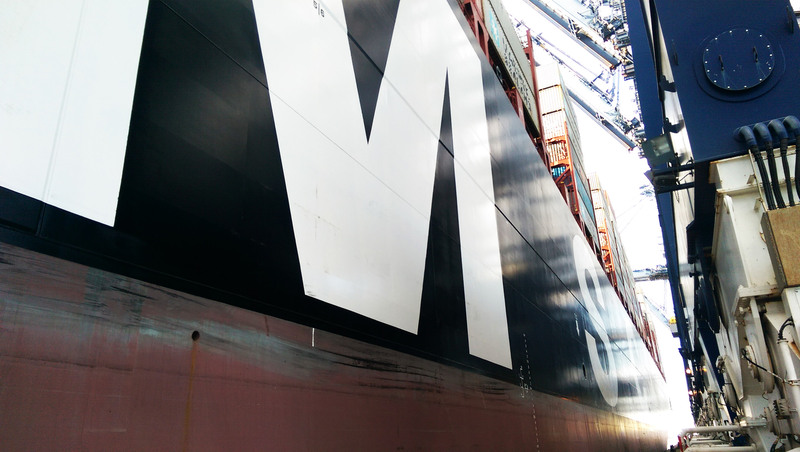 MSC have hinted at a giant arriving this spring, Japans MOL are also thought to have shown interest along with a number of other global enterprises. The technological development in design and manufacture of these giants has created a wave of capability issues for ports globally. In fact, the evolution of transporting cargo continues to surpass technological, environmental and engineering expectations. 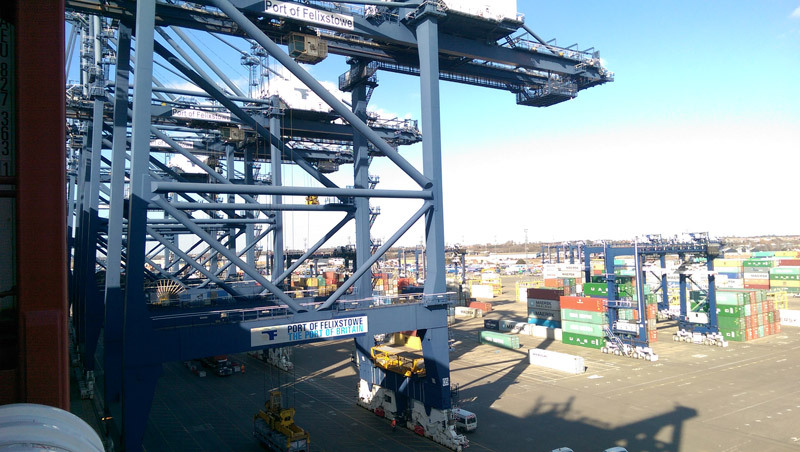 Since the birth of McLean’s innovation in 1956, port infrastructure has always played catch up. 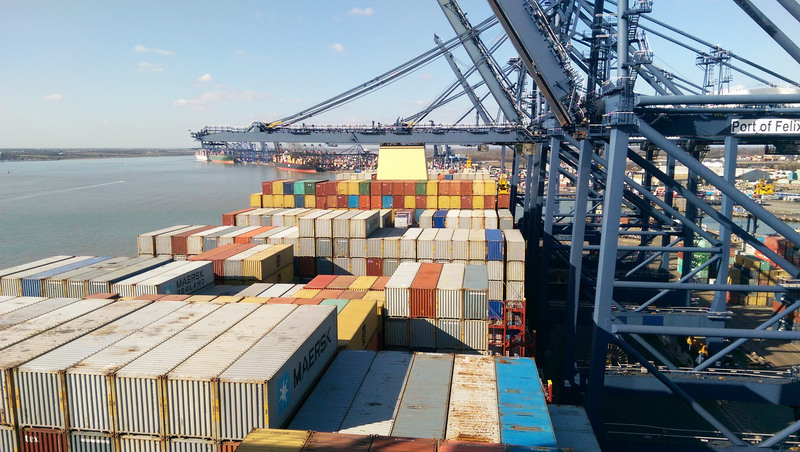 16 Asian and European ports are certified to handle the new triple E class ships and rivalry for Asia – Europe trade has resulted in vast investments in UK’s major ports of Felixstowe and the London Gateway. 137m high cranes, rail terminals, distribution centres, logistics parks, 10,000 jobs all promised by the new gateways £1.5bn investment. 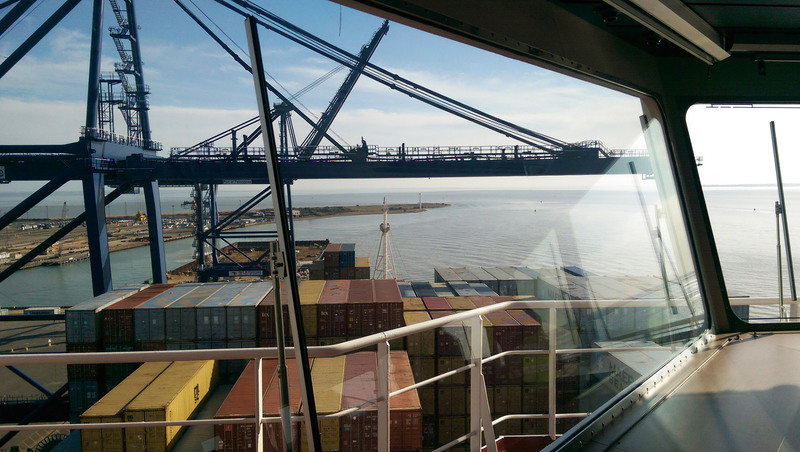 Felixstowe hit back recently securing the visit from CSCL Globe on its maiden voyage. As these two ports wrestle to ensure the new sea monsters pay them a visit, the dependent neighbouring infrastructure will be waiting with baited breath. To get a quote for your shipment please contact Tuscor Lloyds: +44 (0) 161 868 6000 / shipping@tuscorlloyds.com – our professional staff can help get your cargo moving. You’d be forgiven for believing the only element of ‘design’ or ‘creativity’ in the freight forwarding industry begins and ends with ship building. Yet for Tuscor Lloyds design is forming a unique marketing message in a renowned traditionalist industry. From puzzles to riddles, illustrations to photography, optical illusions and more. Behind the scenes our team are busy creating a plethora of original adverts that feature in trade press, online and throughout promotional materials. The aim is to relay our specialist services in the most unique, inventive way. 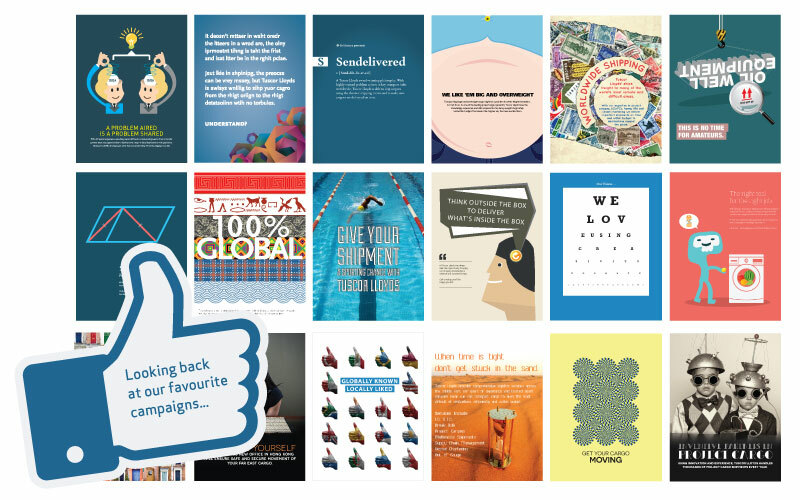 “It’s important for us to reflect a sense of personality in our ads. Freight Forwarding can often become a mundane topic and so it’s great to receive such a warm, positive response to our creative,” says Neel Ratti General Manager at Tuscor Lloyds. Considering the industry has been around for over 4000 years it’s almost surreal to see there has been little development in marketing and creative. Even those working in the industry admit that the times don’t seem to have moved on. 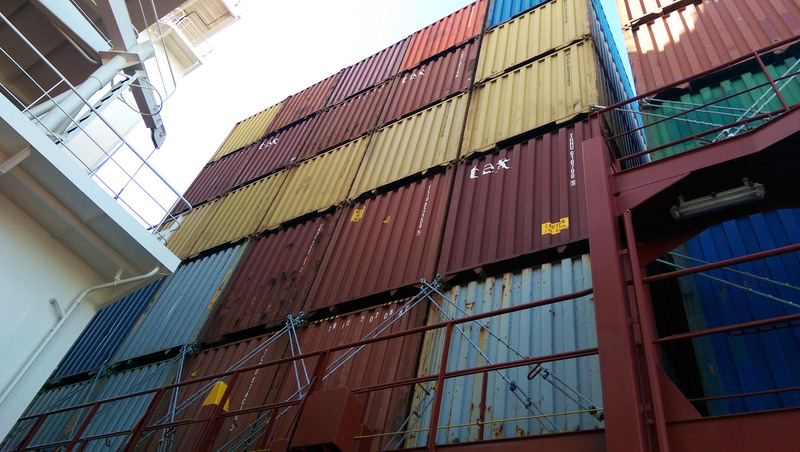 On a wider scale public awareness of global shipping is almost non-existent, lying solely with the contents of the container rather than the journey and yet everything we own or consume has almost certainly arrived by logistical means. For many shippers it’s ironic to see consumers becoming more and more concerned with what’s in our food, where our clothing is made; is it organic, sustainable, ethical and all kinds of moral quandaries, yet how goods reach us is a complete unknown. Tuscor Lloyds mission is to simplify the shipping and freight forwarding industry and its processes. Rose George, in her book Deep Sea and Foreign Going, touches on the impact the industry has in Britain alone, employing 634,900 people, contributing £8.45 billion in tax and generating two per cent of the national economy and yet it remains out of sight and out of mind. We are currently running an online competition to vote for your favourite advert and automatically enter into a prize draw. The aim is to raise awareness in all communications of the ‘secret’ industry that underpins our civilization. The selection of ads offers just some of the ‘new wave’ creative ideas hoping to brighten up the often cumbersome world of shipping. 10 lucky participants will be awarded exclusive prizes, so what are you waiting for? Tell us who wins and hopefully you’ll be a winner too. What do you see as the biggest issue in supply chain management impacting overall efficiency? Not applicable to our business. What is the spearhead of your future growth strategy? Our turnover has grown by over 30% in the last 2 years and we are now exceeding pre-recession profits. The company doing better now than at any other time in its history but the margins are tighter. This means volumes are increasing faster than revenue, and the issue is amplified by the sharp decline in rates over the past 2 years. The increase in volumes presents a problem with our operations. We have to expand the staffing arrangements to accommodate the extra work. In tandem with this in-house growth we are looking to use gains in profits to expand overseas. We have just opened an office in Hong Kong with a view to penetrating the Far East markets. There are plans to expand further over the next 3 to 5 years into other growth lanes worldwide. In the current economic and business environment, do you still see significant opportunities for gaining market share by acquisition or merger? Merging and swallowing each other whole seems to be the current default strategy among the larger forwarders and shipping lines. Being big means that freight companies are able to cost effectively service the high volume work and demands of the modern industry. The lions’ share of the logistics market is this kind of repetitive type of service. Smaller companies however are filling the gaps in between – where intelligence and knowledge of the trade is required to do something out of the ordinary. Amazingly these niches are growing fast. The intensity of operations, the need to pay attention to the smallest detail, and the constant micromanagement means that it is almost impossible for the larger forwarders to grab a share of these markets. How are the differing fortunes of the Eurozone countries impacting your business? We don’t get too involved in the intra-European trades, so the problems in the Eurozone don’t affect us much. The Eurozone, with its tight monetary policy and overpriced currency is not achieving what every other industrialised economy has sought to do in the last 5 years – make money cheaper through reductions in interest rates and devaluation of currency. There is a gross disparity in productivity in Europe, which has been recognised for many years. It’s a shame that the northern European economies are able to retain their competitive edge, while the south is hobbled by expensive exports and curtailed competitiveness. This divergence must be addressed if Europe is the heal itself. Have your most favoured destinations changed because of this? The correction in the world economy has been going on for a lot longer than the Eurozone crisis. Globalisation and recession has further picked up the pace of change. We have always tried to keep pace with trends, something that the large shipping companies often fail to do. We were the first high profile forwarder to enter the Brazilian market, for example. Nowadays it’s crowded but the bigger companies came late to the party. What do you see as the biggest potential growth markets in 2013? Most people talk about so-called emerging markets at the moment. These have always been important to us, but strangely mature markets are showing real growth in volumes right now. Mexico is going from strength to strength. Canada has grown hugely for us. This is not happening because of any particular development although one could argue that we are feeling some benefit from Canadian miners, who are clearly beginning develop the remote hinterland provinces. Nevertheless we seem to gaining new market shares for all cargo coming out of Northern Europe. Changes to our marketing focus and an aggressive pricing strategy are having a huge effect. What are the greatest barriers to growth in your sector? 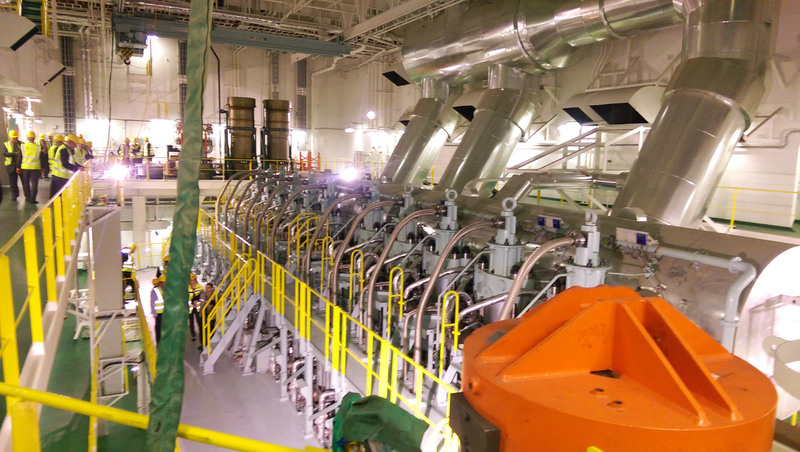 We operate in a few sectors with the main revenue driver being projects and out of gauge work. This market is difficult to penetrate as knowledge is required to service the accounts properly. Our methods of operation are really unique and we find even well experienced forwarders are not technically solid enough for project forwarding. So we find it difficult to recruit and therefore expand our business. We are taking the plunge however with training and recruitment. With several highly skilled forwarders now in-house and working full time on project shipping we have a skills and knowledge base which simply cannot be matched anywhere in the industry. What are the risks and opportunities you see in the next six months? Do you have plans to use them to your advantage? Our marketing strategy is highly effective and we are starting to find life difficult as we put ever more pressure on our operations with new work and customers. We’re expanding, but it’s still difficult to keep up pace with the increase in volumes and enquiries. It’s unusual in the current climate to report such huge growth but we risk becoming victims of our own success. Obviously if we can service all the new work this will present the company with some serious opportunities in the coming months and years. We’re determined to ensure the current growth spurt is sustainable and controlled so that the benefits can be spread into new markets and territory. We have already started to expand further overseas with a new office in Hong Kong and more branch offices planned in the next 3 years. Of course there are further risks created by the recent formation of our Hong Kong office. China is experiencing a marked slowdown and confidence is low. To start a new venture at this time was definitely a risk. The size and scale of the market however is such that the rewards can be huge, and I believe we have replicated our already successful business model there as well. Are you experiencing a skills shortage in your area of activity? We have suffered badly over the years because of a lack of skills in our industry sector, or more accurately, a lack of the right kind of skills to service our accounts. We have a very particular way of working and even experienced industry professionals struggle to understand our business. We have addressed this more recently by recruiting less experienced agents and training them ourselves. This policy, while taking more time at the start is proving to be highly successful. Project forwarding needs the right kind of mentality. Operatives must very attentive, diligent and tenacious. These are qualities which anyone can have, hence the opening up of our hiring policy. What is the most important strategic decision you have taken this year? We hope that the decisions we took turn out to be important! At the moment we are laying down the strategy for future growth of the company. Part of the process is to introduce more operational and commercial skill into the office, leaving time of the senior managers to strategize more about the future direction for the company and to look after key customers and accounts. Another decision we made was to stick to what we’re best at, whilst only diversifying only into markets where we are already confident in our strength and skill. I know diversification is the buzzword of the moment for most companies struggling with recession, but we always felt that it was too risky to introduce completely new products into our portfolio. What questions would you put to other CEOs/business leaders in your sector? I’d be interested to know how people are managing at the moment because market conditions are extremely tough. We have implemented a strategy in which we concentrate on a diverse range of products but all of them strong from the outset. We managed to gain larger shares in our core market and we are forcing our competitors to look elsewhere for support. The industry has become very aggressive in the UK and, as is the case in most recessions, only the strongest will survive. I’m happy to say we will certainly be one of them and I’m proud that we are posting consistent growth year on year even in the current climate. Why should a young graduate join your business today? Our business model is very unique and as a provider of freight services to other forwarders, a high standard of service must be maintained, otherwise our business will inevitably fail. For graduates this presents an opportunity to learn the best practices and techniques in the industry today. Most of our customers are forwarding agents, who rely on our knowledge and experience to undertake difficult and complex shipments on their behalf. Our customers expect us to impress them, which is difficult for a trainee who is much less experienced in the job than the person they are serving. We push our trainees hard so that their knowledge, competence and integrity are difficult to match. What do you see as the biggest threat to your business in the next 12 months? We are feeling very healthy right now and we are managing to take ever increasing shares of our existing markets. I suppose our competitors coming in and fighting us for the gains we made would be the biggest threat. Our supplier relationships are extremely important to us. Certainly anything that threatens the stability and integrity of our suppliers is a clear threat to us. Overall I can’t see us losing out on much at the moment, but we can’t take that for granted even for one second. The market is far too competitive and people will use all means necessary to improve their positions, especially when we suffer as a result. There is simply not enough business out there for the amount of providers in the industry. In the end we can only look after our existing customers and keep growing our market share the result is hopefully a strong business which will stand the test of time.